Peter pan collars are one of my favorite details to a garment. 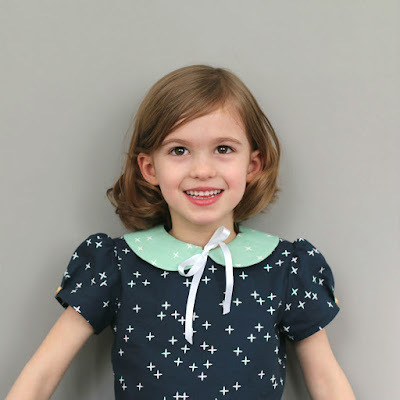 While collars are generally attached to the neckline, you can also make them in a detached version, and wear them on a range of different garments. Dresses, tops, tees, sweaters, or even a tank top - the possibilities are endless. I drew a free pattern for a detached peter pan collar in sizes 1-12 years. 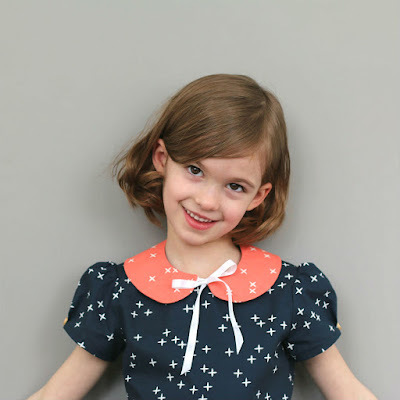 It's an easy and quick project, and it's ideal to use up fabric leftovers. 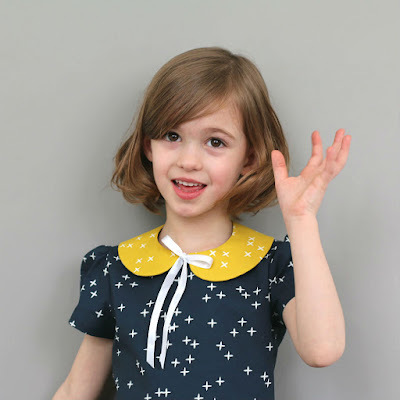 You can find the free pattern and tutorial at the end of this post. But first, let's talk about the fabrics I used. The Wink fabrics of the new Mod Basics 3 line from Birch caught my eye long before they were released. I love the print and the deep colors. 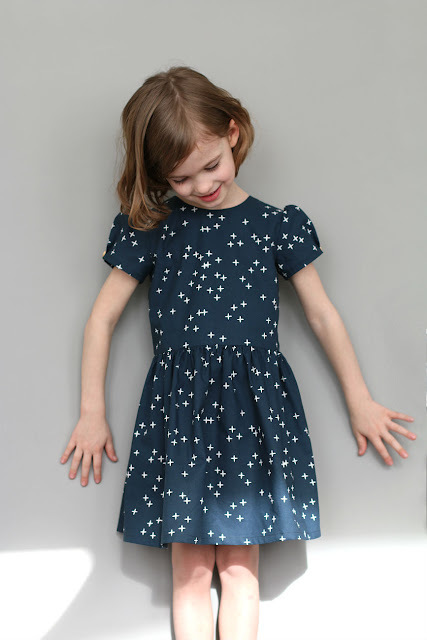 I first made a Tinny dress in the blue ('Dusk') version of the fabric. I went for the gathered skirt and puff sleeve options. The drape of the fabric is perfect for this project. It makes the skirt and sleeves nice and poofy. 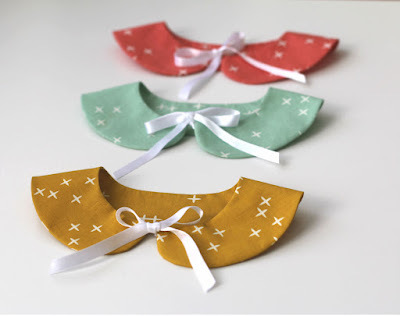 Next, I made detached collars in three other colours: Marigold, Coral, and Mint. On to the tutorial now. 1. First, cut out your pattern piece. Pick a size based on age; if you have a slender girl, size one down. Cut the piece on the fabric fold, 2 from fabric and 1 from thin fusible interfacing. 2. Iron the fusible interfacing to what will be the upper layer of the collar. Do not reinforce the bottom layer. 3. 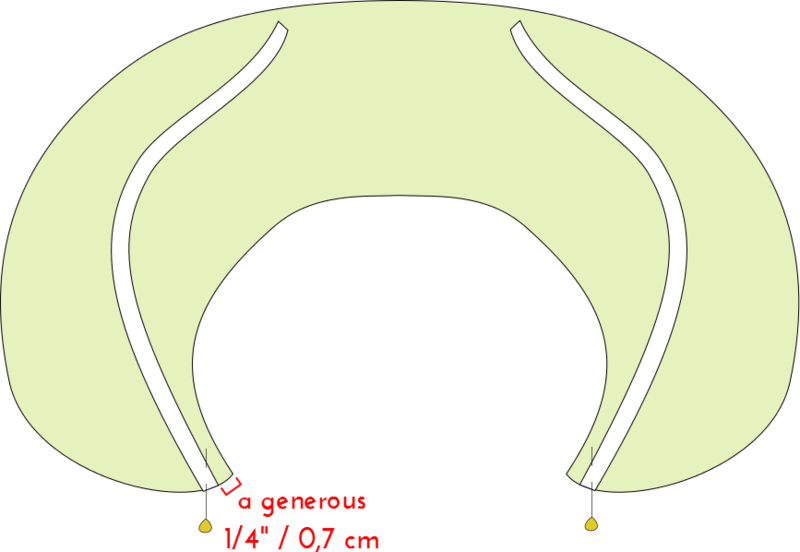 Pin both pieces of ribbon on the right side of one of the collar pieces, as illustrated below. 4. Pin the other collar piece on top of this, with right sides together. 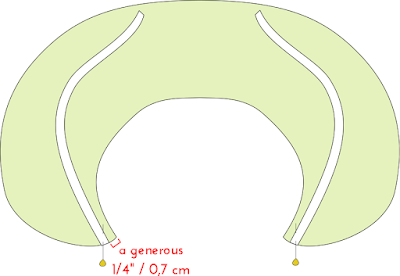 Stitch around the edge with a 1/4" (0,7 cm) seam allowance, keeping the ribbon out of the way. 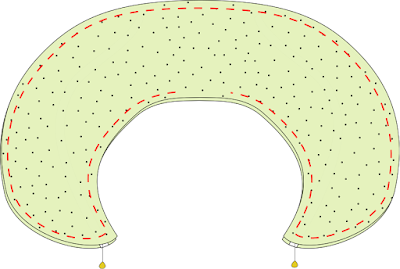 Leave a turning hole in the middle of the back. 5. 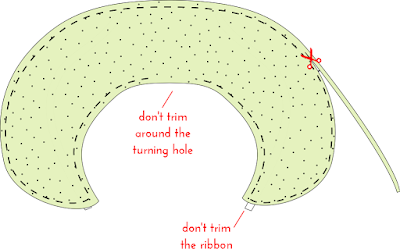 Trim the seam allowance to about half its current width. Do not make notches, and do not use pinking shears. Try to cut in a very smooth, round line. 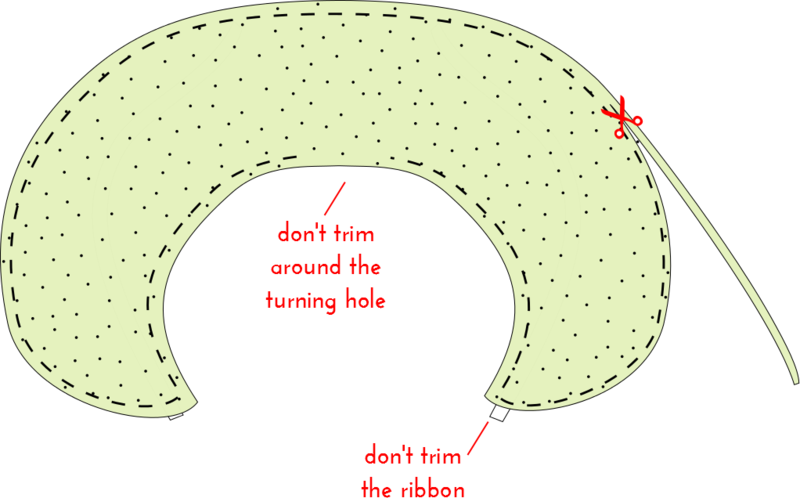 Do not trim around the turning hole, and do not trim the ends of the satin ribbon (they easily fray and would come loose). 6. Turn the collar right side out, and press carefully. 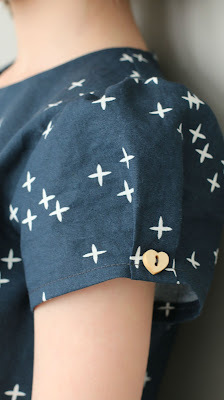 Close the turning hole in the back (tip: you can do this with wonder tape / Vliesofix instead of hand stitches). To prevent the ends of the satin ribbon from fraying, keep them close to a flame so that the edge melts. And that's it! Your collar is ready. Make sure to share your remedy in the remarks listed below if you have actually come throughout issues making use of Bluetooth in Windows 10 and located a different workaround. Fabricworm Giveaway: Birch Solid Poplins!